Simple J2ME game developed for old-school mobile phones. It was my first application and mainly it served as my "playground". What more, it was my first expirience with collaboration. Martin Scheubrein (great programmer nowadays) did all the graphics and helped with testing! 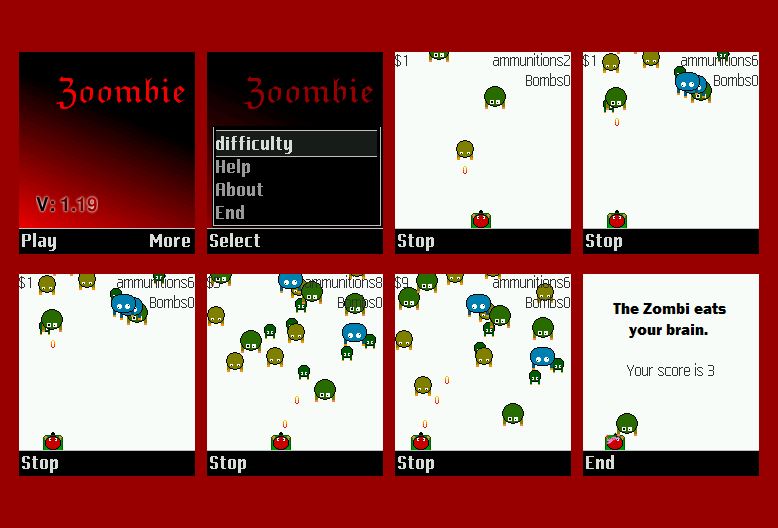 The main goal in this game is to shoot as many zombies as you can. And of course you have to avoid them, otherwise you will become their tasty lunch. Copyright © 2018 Jiri Stepanovsky. All Rights Reserved.